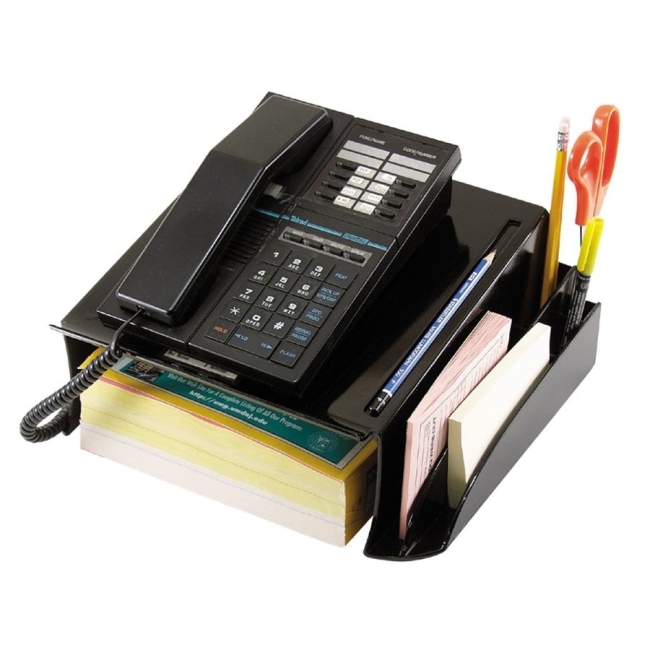 Stylish, functional telephone stand works in any office environment. Use to position telephone on an easy viewing angle with room for storage underneath. Storage compartments on side hold writing utensils, a note pad and more. Telephone stand features smooth rounded lines and a polished surface.